Exotic superfruits like guava, mangosteen, acai, and goji may tout sky-high levels of antioxidants and vitamins, but reams of recent research have shown that the ordinary apples, grapes, and other fruits that make our shopping lists week after week boast some pretty impressive health benefits of their own. While there’s nothing wrong with splurging on imported power fruits, some of the best finds in the produce department are the ones you’ve probably been eating all along. Read on to see just how good those shopping-cart staples are for your health. 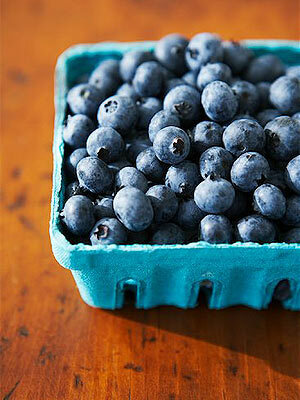 Blueberries can help keep you healthy, according to a new study in the journal Molecular Nutrition and Food Research. Researchers found that a compound called pterostilbene worked with vitamin D in the body of mice to boost your immune system and fight off infections. However, it is unclear if the same effect will be seen in humans. But blueberries do have proven health effects for humans. Preliminary research has found that these bite-sized berries may limit the amount of adipose (fat tissue) the body creates, according to an August 2012 study from Texas Women’s University. Researchers found that blueberry antioxidants reduced the number of fat cells in mice by as much as 73 percent. Blueberries can also help you slim down by satisfying your sweet tooth for few calories — just 44 per half cup. They may also keep your mind sharp — past research has linked blueberries to improving memory and learning, thanks in part to the anti-inflammatory effects of anthocyanin – the antioxidants that give the fruit its bright purple hue. An apple a day may in fact keep the doctor away — especially the cardiologist. When women ages 45 to 65 ate around a cup of dried apples each day for a year, they experienced on average a 23 percent drop in “bad” LDL cholesterol, according to a Florida State University study. What’s more, the women’s “good” HDL cholesterol increased by about 4 percent, and they also lost an average of 3.3 pounds. 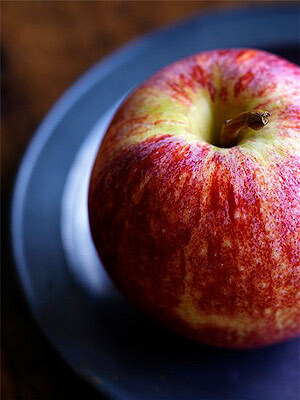 The heart-healthy benefit may stem from the apples’ pectin (a type of fiber) and polyphenols (a group of antioxidants). Other research has found that apples also protect against asthma and chronic obstructive pulmonary disease (COPD), possibly due to their high level of flavonoid antioxidants. 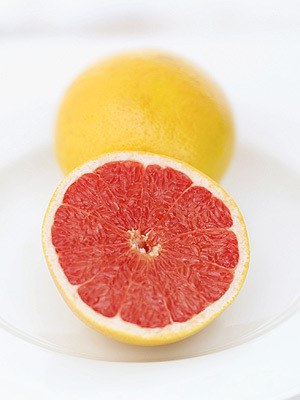 A flavonoid (a type of antioxidant) in this citrus fruit may protect the body against the triad of diseases known as metabolic syndrome — coronary artery disease, stroke, and type 2 diabetes — according to research from the University of Western Ontario published in the journal Diabetes. When researchers fed mice a typical “western” diet (high in fat and refined sugar) that was supplemented with the tangerine antioxidant nobiletin, the mice experienced no increase in cholesterol, triglycerides, insulin, or blood sugar, but mice who didn’t get the nobiletin did see a rise. 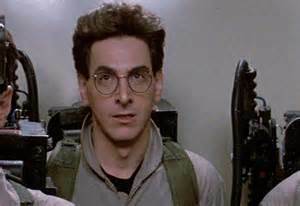 Other long-term animal studies have found that the compound prevents atherosclerosis, the hardening of the arteries that can lead to a heart attack or stroke. Tangerines may also help cancer-proof your body — if you eat the peel. A compound in the peel called salvestrol Q40 halts the activity of an enzyme that incites the growth of cancer cells, a British study found. 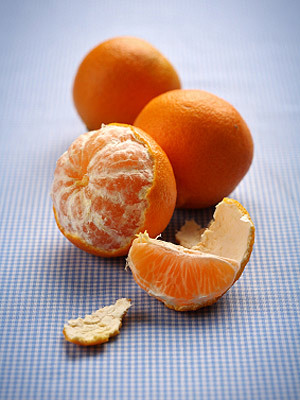 Try some tangerine zest in your tea or sprinkled on a salad for a citrusy twist. 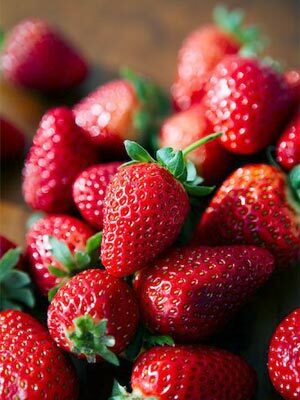 Slicing strawberries into your morning cereal or yogurt may cut your risk of esophageal cancer, according to a small study from the Ohio State University Comprehensive Cancer Center in Columbus and researchers in China (it was partly funded by the California Strawberry Commission). When 36 people with precancerous esophageal lesions ate two ounces of freeze-dried strawberries daily for six months, 80 percent saw a decrease in the severity of the lesions. The researchers aren’t sure which of the vitamins, minerals, or other nutrients in the berries is responsible, but they plan to investigate the possibility that strawberries may be valuable as an add-on or alternative treatment to cancer-treating drugs. Strawberries also take care of your ticker. A recent study from the University of California, Davis, found that regular strawberry consumption can counteract the inflammatory and blood clotting effects of a high-fat, high-carbohydrate meal, potentially decreasing the risk of cardiovascular disease. 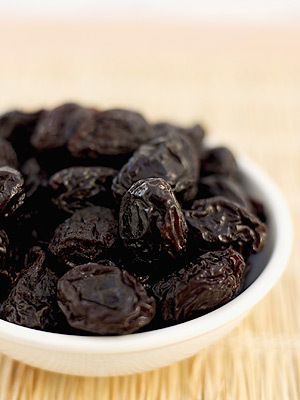 The fruit formerly known as prunes may help keep bones strong. When postmenopausal women ate about half a cup’s worth of dried plums for three months, they had increased levels of hormones associated with bone formation, according to research from Oklahoma State University in Stillwater. And in a 2010 Journal of Nutrition study, adult and elderly mice who were fed a diet that contained dried plums not only experienced a drop in loss of bone density, they actually gained bone mass. Researchers say dried plums may have an effect on hormones that prevent bone breakdown due to a dip in estrogen levels. Most famous for their digestive health benefits — and ability to, um, get things moving — dried plums are also good sources of blood pressure-lowering potassium and cholesterol-friendly fiber, making them a heart-healthy snack. Think out of the can when it comes to these tart fruits. Antioxidants called proanthocyanidins in cranberries halt the activity of bacteria that cause dental cavities (but beware of overly sugary jellied cranberry sauce that can do more harm than good to your teeth — look for fresh cranberries and simmer up your own subtly sweet relish instead). And the same antimicrobial properties of cranberries that prevent bacteria from clinging to your teeth also work on your bladder, helping to prevent urinary tract infections. 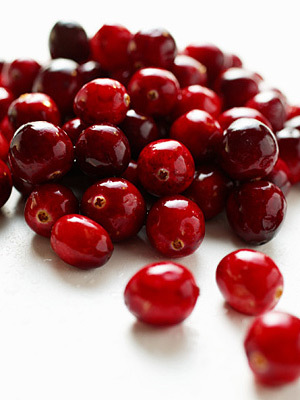 Cranberries may even protect your stomach from ulcers by acting on the H. pylori bacteria that cause them. Eating polyphenol-rich grapes — especially red ones — can reduce inflammation that contributes to a variety of health problems, including type 2 diabetes, hardening of the arteries, and high blood pressure, according to scientists from the University of North Carolina at Greensboro. The fruits may fight inflammation in several ways, including acting as an antioxidant, reducing cell stress, and blocking pro-inflammatory compounds called cytokines. 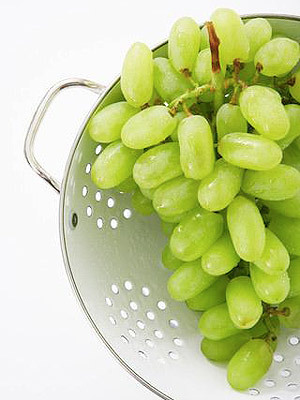 Grapes also contain the much-hyped compound resveratrol, which has been linked in large doses to heart health and prevention of lung, breast, and other types of cancers. Red grapes, like blueberries, can give your immune system a boost, thanks to the compound resveratrol, according to a new study in the journal Molecular Nutrition and Food Research. The compound, which is also found in red wine, may be the reason why red wine has shown to have positive health effects. 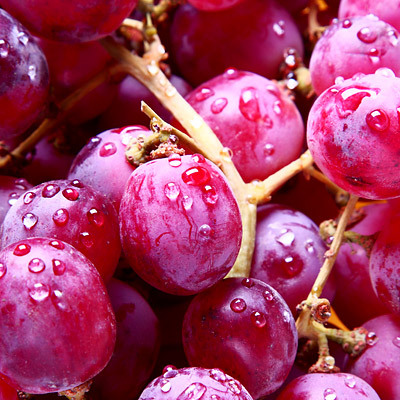 Red grapes have also been shown to reduce levels of LDL, regarded as the “bad” cholesterol, and raise levels of the “good” cholesterol HDL, according to a 1999 study in the journal Circulation.